A Church with a long History of Determination, Endurance and Resourcefulness. 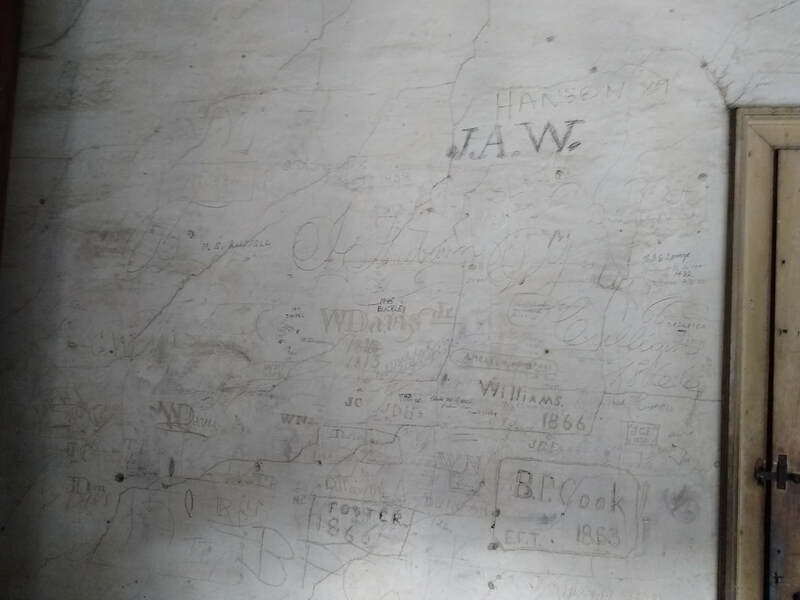 The handwritten note in the first image below the video of the bell is likely that of Joseph Warren Revere, Paul Revere's eleventh born. 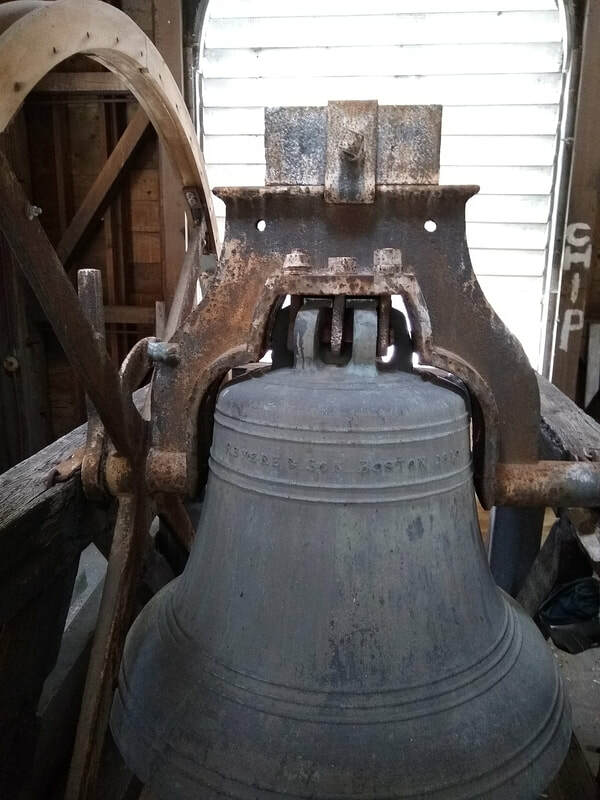 Joseph's brother, Paul Revere Jr., was employed by the Revere Bell Company but also parted to work another local church bell manufacturer. 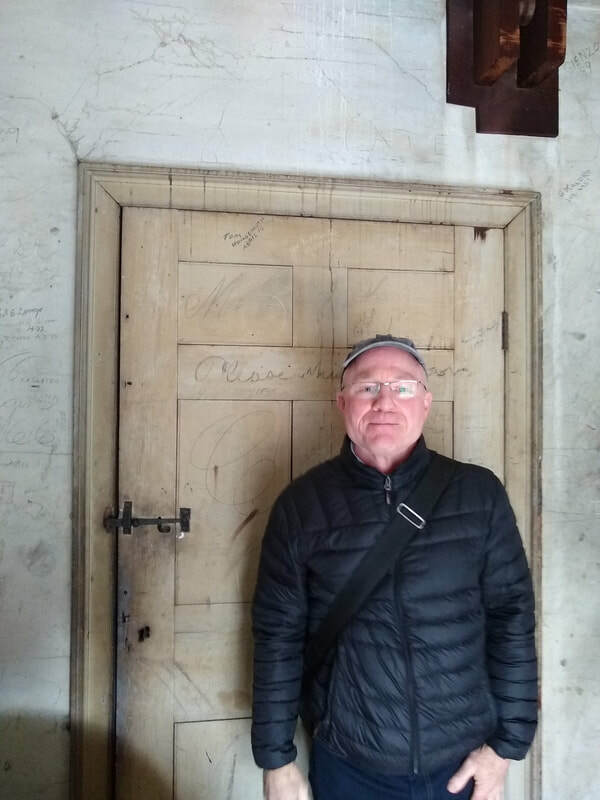 Paul and sons kept church bell records in a ledger called the waste book. A copy of the Roxbury bell entry is the first image below. The bell entry shows the total weight as 1,538 pounds. Typically the second weight referenced is for the tongue. The waste book entry for the Roxbury bell is different. The Roxbury bell today has both a tongue and a hammer. Further confusing us is the musical key of the bell as struck. Large bells are often key of C and smaller bells key of G. Could this second entry note the bell's key? We do not have a musical ear. 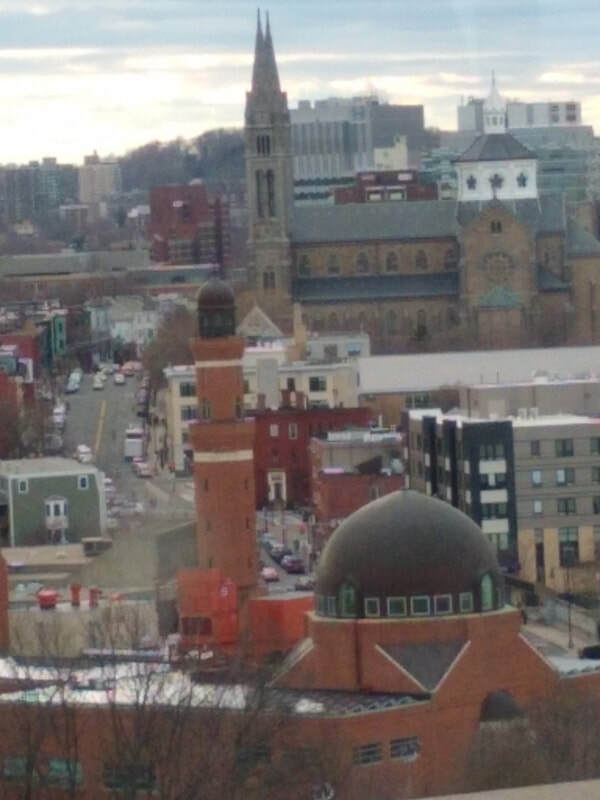 If you have some knowledge of music can you compare the sound of the Roxbury bell below with the sound of the Kings Chapel bell at this link and make a judgment call? 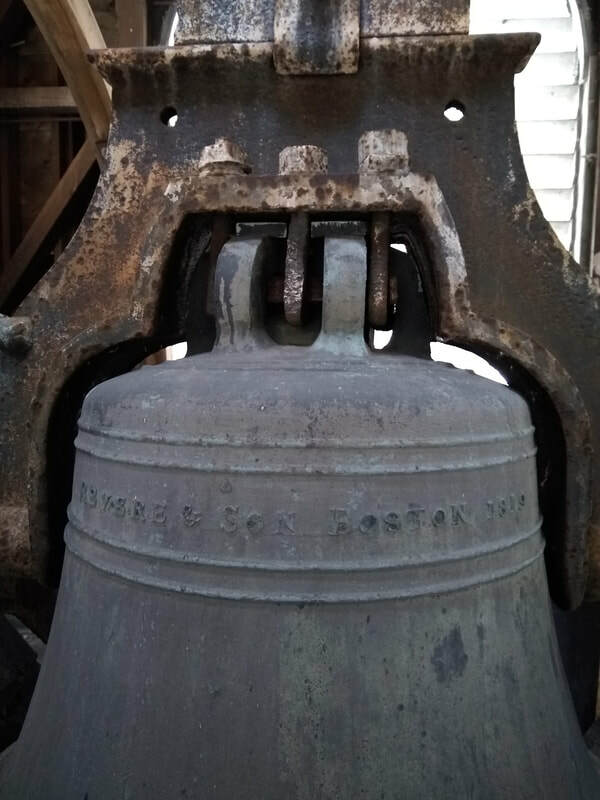 ​https://www.walkbostonhistory.com/revere-bells-in-boston.html ​We would appreciate any suggestions from those that know or have a musical ear. 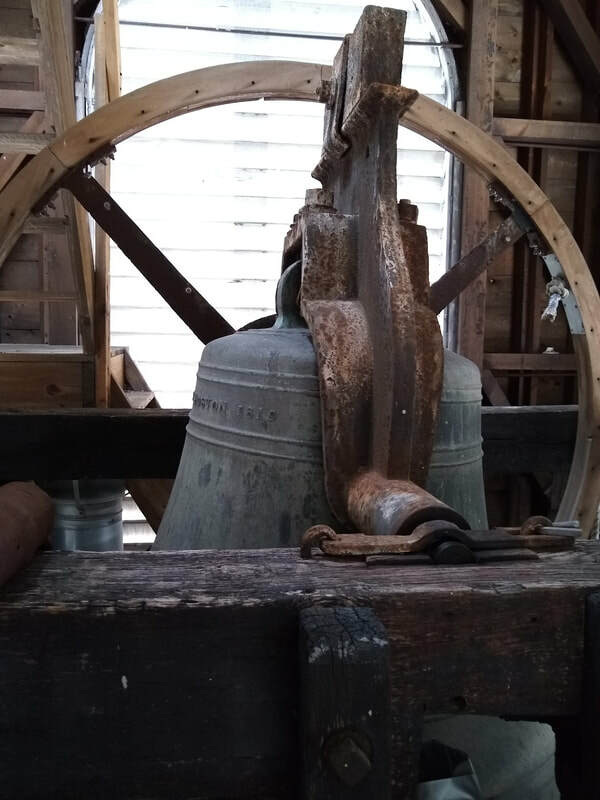 We continue on with a brief history of the church and its several bells. 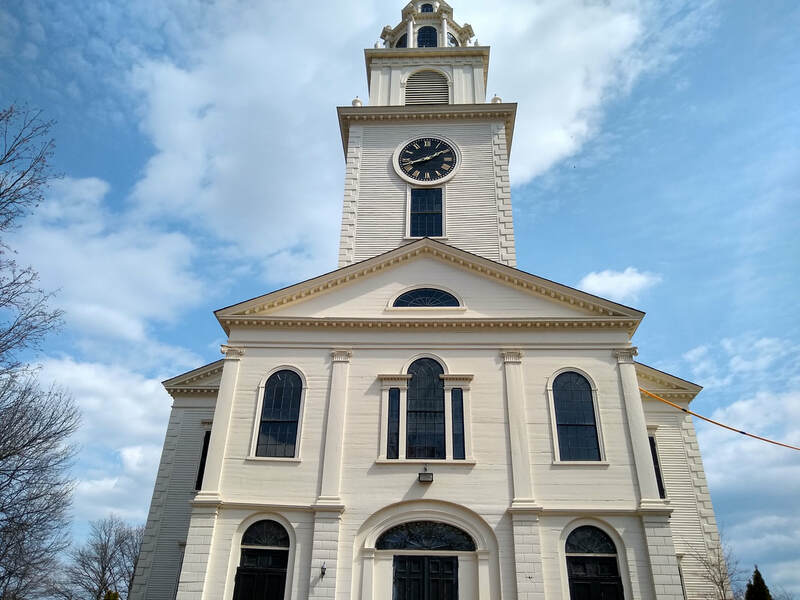 The first church members arrived in Roxbury as freemen in 1630 under a land grant (if the paid their passage) and established the First Church of Roxbury in 1632. John Elliot often referred to as Apostle Elliot, was listed as "teacher" in the records of the church. Elliot focused mainly on Native Americans. 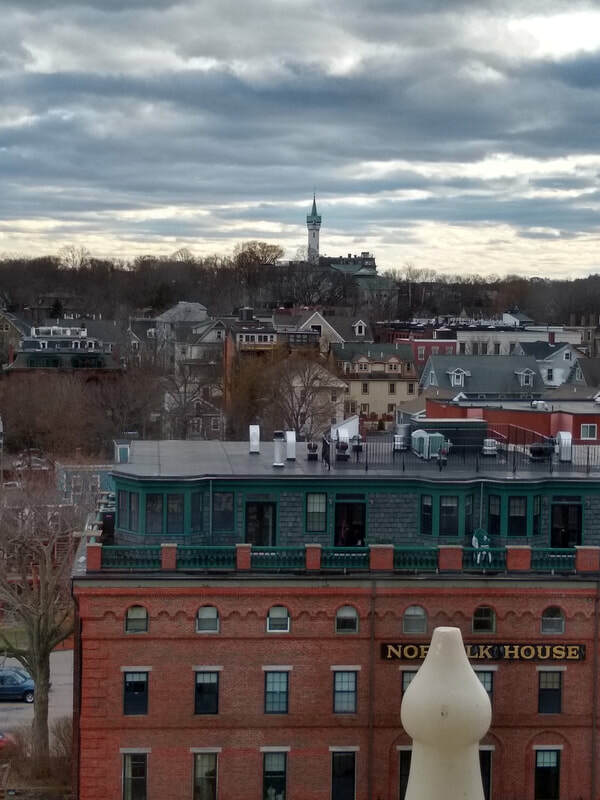 His various conversion efforts created towns such as Natick, initially known as a praying village in 1651, incorporated officially in 1781. John Elliot's efforts to convert King Phillip and his brother to Christianity failed in 1675. Chronologically, the King Philips War followed with the disastrous result for New England and their Indian adversaries. 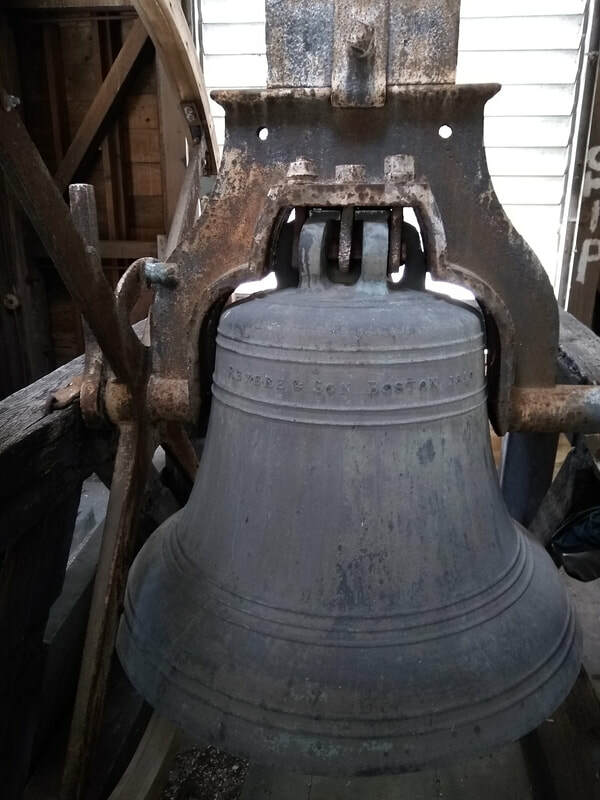 In 1762 the bell purchased in 1755 was replaced. 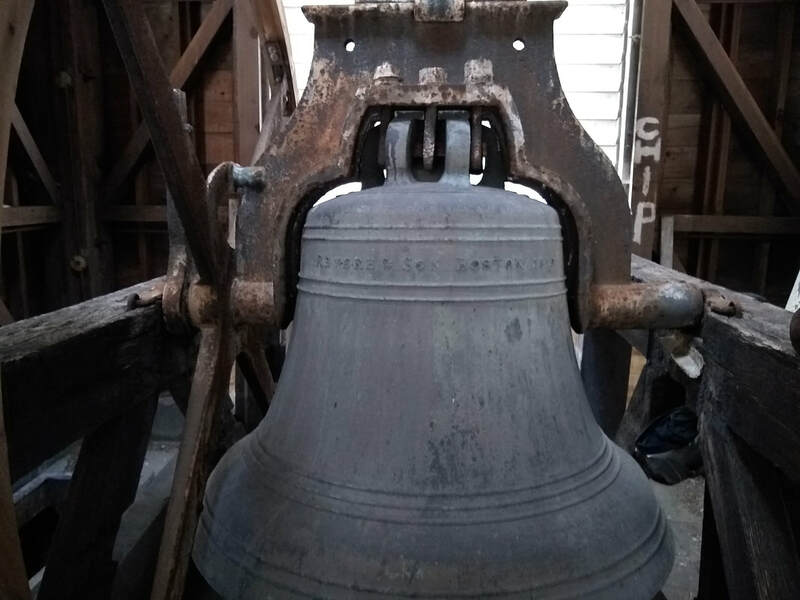 The new bell was manufactured in Gloucester, Abel's family business began in 1684 and produced 5,000 bells before exiting the business through bankruptcy. 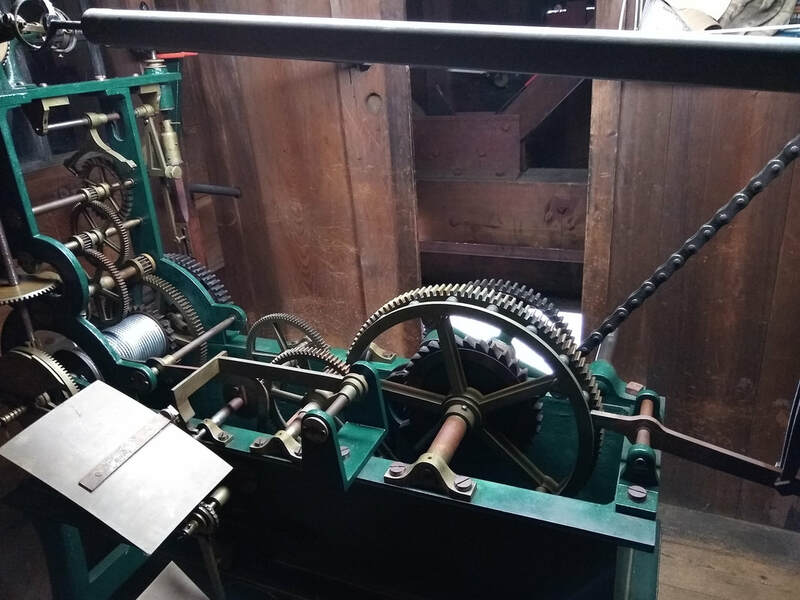 Abel's grandfather turned bell making on its keys by using a lathe rather than chisel and hammer to tune the bells. 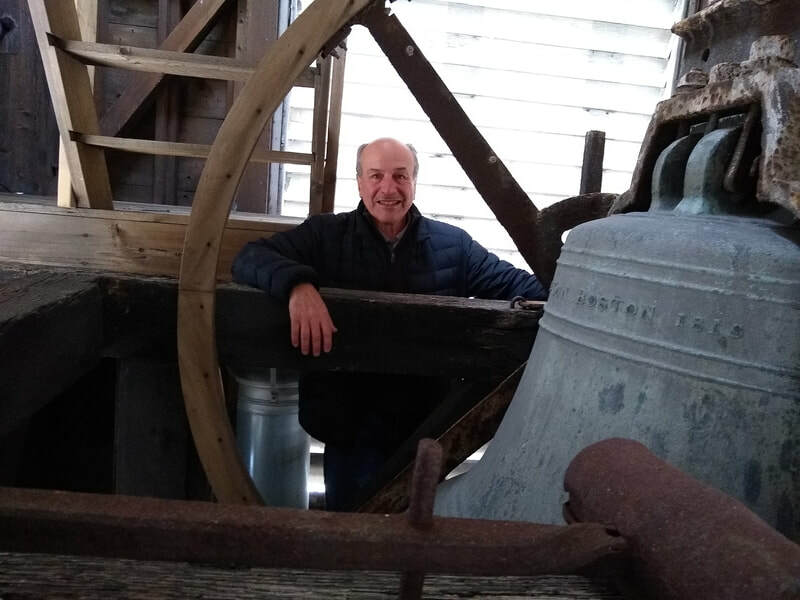 Abel and family, in 1744 produced the current eight bells that ring routinely in the Old North Church in the North End of Boston, Massachusetts. 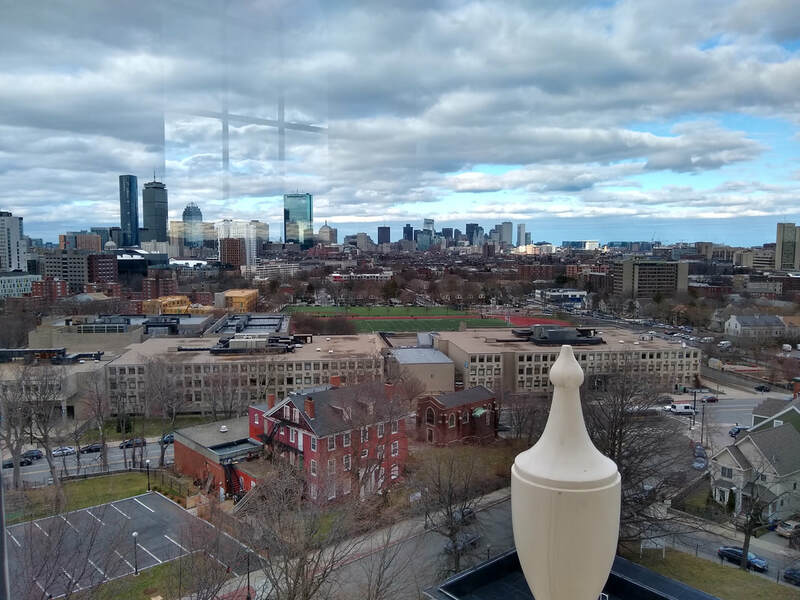 In 1750, the contract to ring the bells routinely and on special occasions was let to Paul Revere, at his age of fifteen. In 1680 the contract to ring the First Roxbury bell and sweep the meeting house was worth three pounds. Bell ringing would include calls to pray, calls to fires and the death of local residents. The first sexton to own the contract was William Cleaves, abruptly terminated by his death in the King Phillips War at the Sudbury fight. He was succeeded by his widow. In time, a Willard clock would be added to automatically ring the time of day. 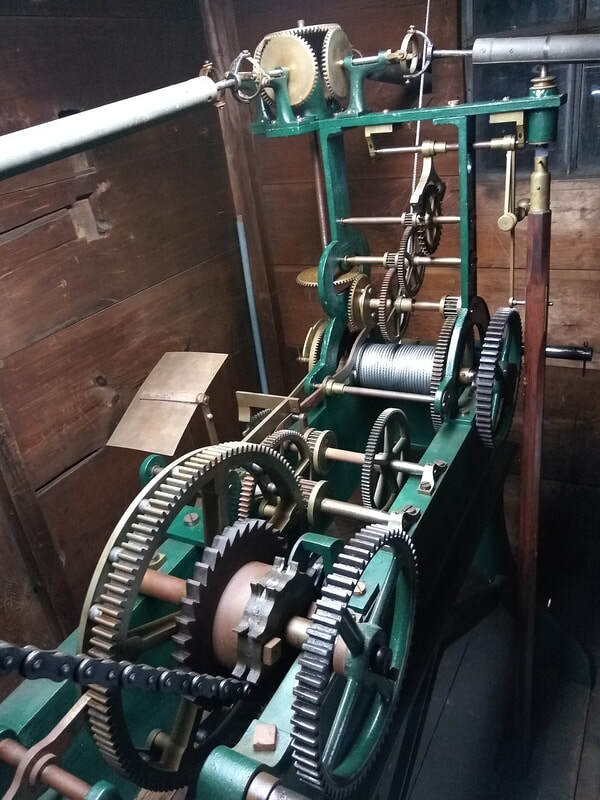 A replica of this clock works the bell today and the original Willard clock resides at the Williard House and Clock Museum, in North Grafton, Massachusetts. Simon Willard maintained the First Church of Roxbury's clock at least through 1818. 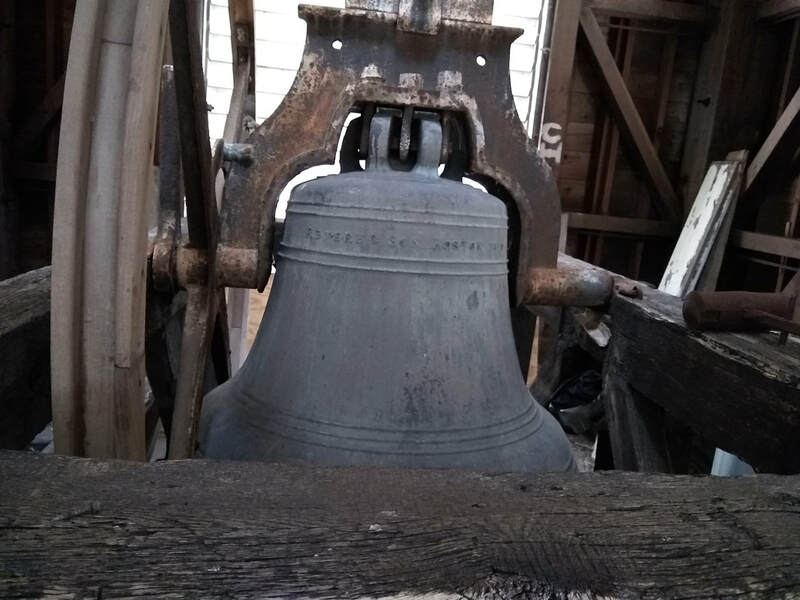 The current bell manufacturer by the Revere family in 1819 before this preview the bell in the tower probably ruined by a British cannonball leading to the third or fourth bell before the two revere bells. In 1775 the church grounds served as a bivouac for General John Thomas and his regiments. George Washington did visit before the British evacuated Boston. 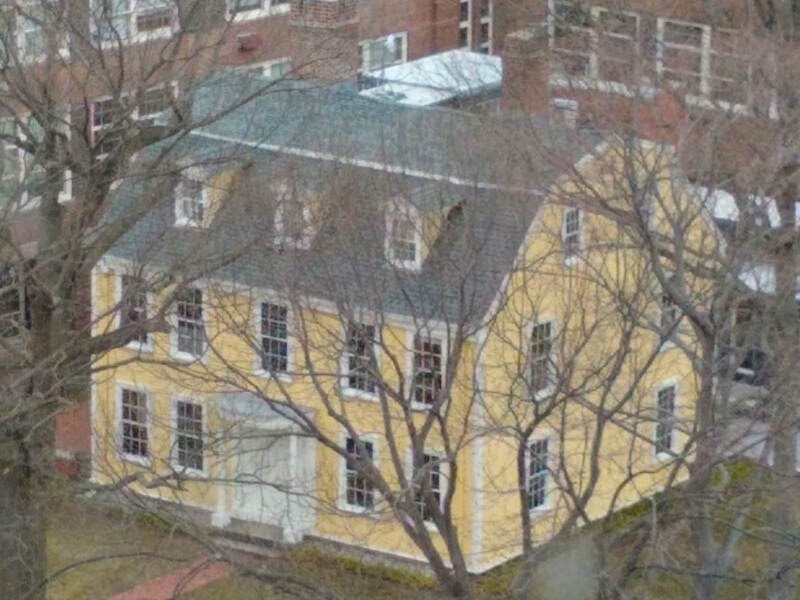 It is rumored, of course, that he slept at Dillard-Thomas House, the yellow colonial imaged below. 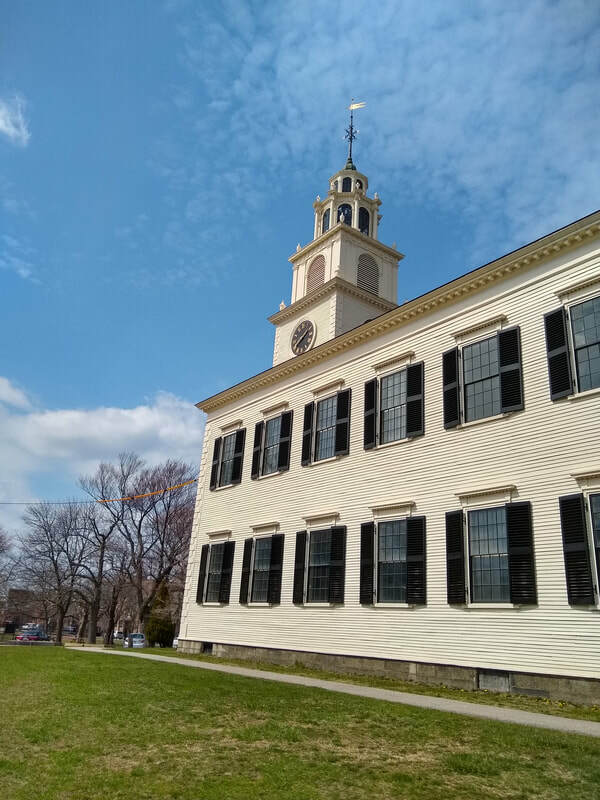 The Dillard-Thomas house served as military headquarters and was a stop along the way for the cannons transported by Henry Knox on the way to Dorchester Heights. Thomas was a doctor with significant military experience. He died of smallpox in 1776 during a failed attempt to conquer Quebec City. It is a state park today. 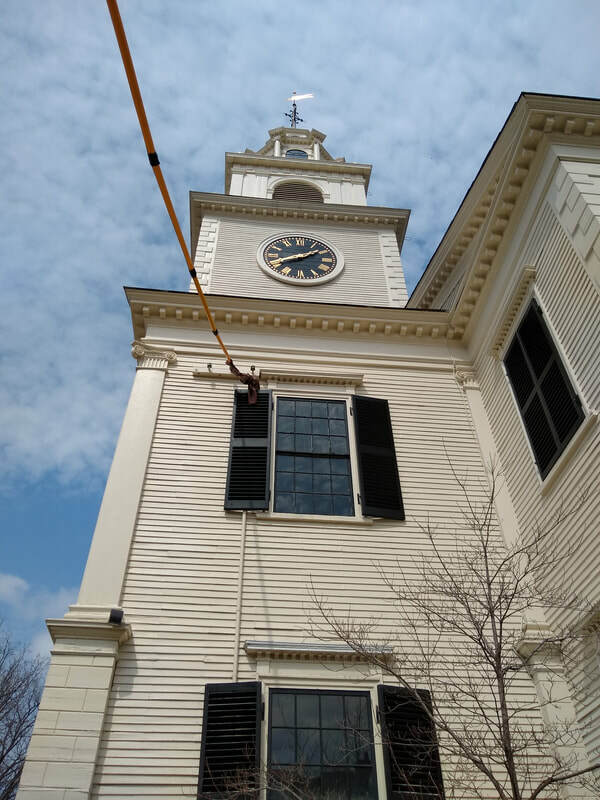 The second Revere bell was raised to the steeple May 27, 1819. It weighed 1,538 pounds including a 32-pound tongue. 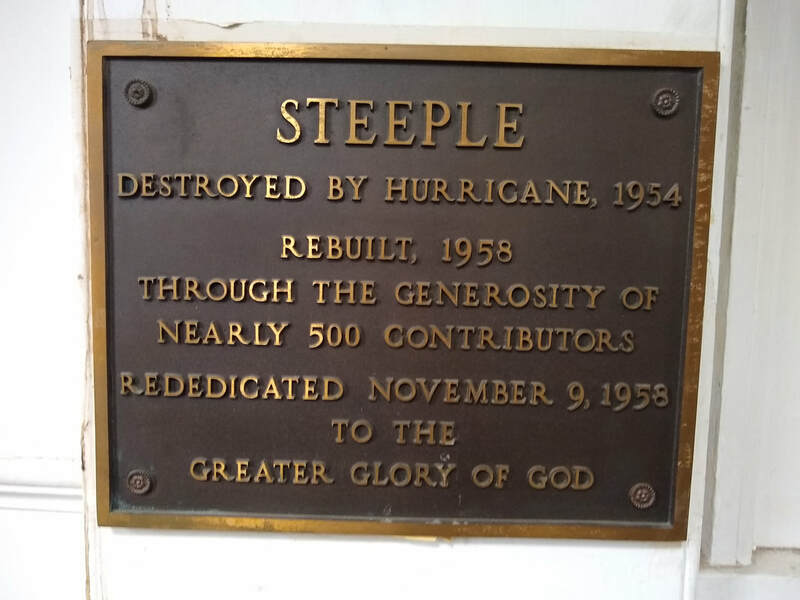 A hammer is present today in the steeple to strike the bell at its resting place and a rope for unexpected occurrences can be exercised at the lower levels. 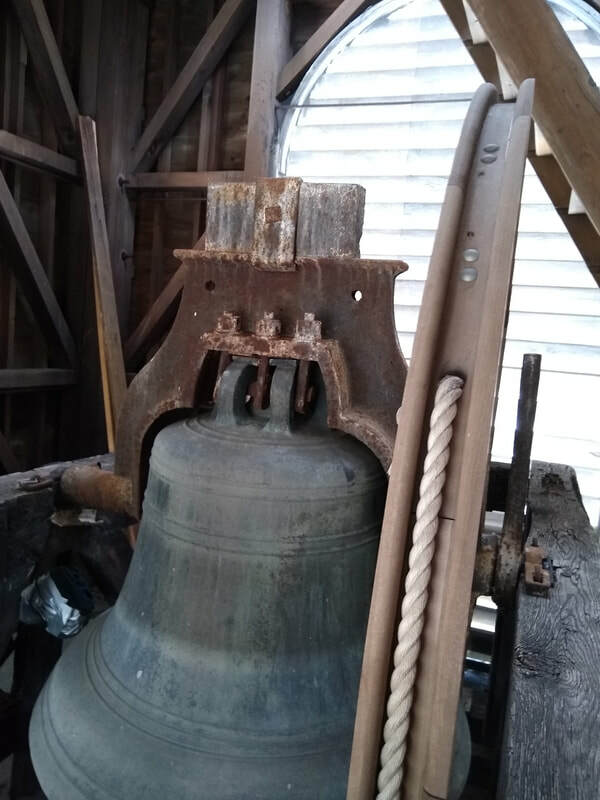 The gross cost of the bell was $692.10, with a deduction of $215.50 for the metal that remained from the previous bell. The final cost was $476.60. 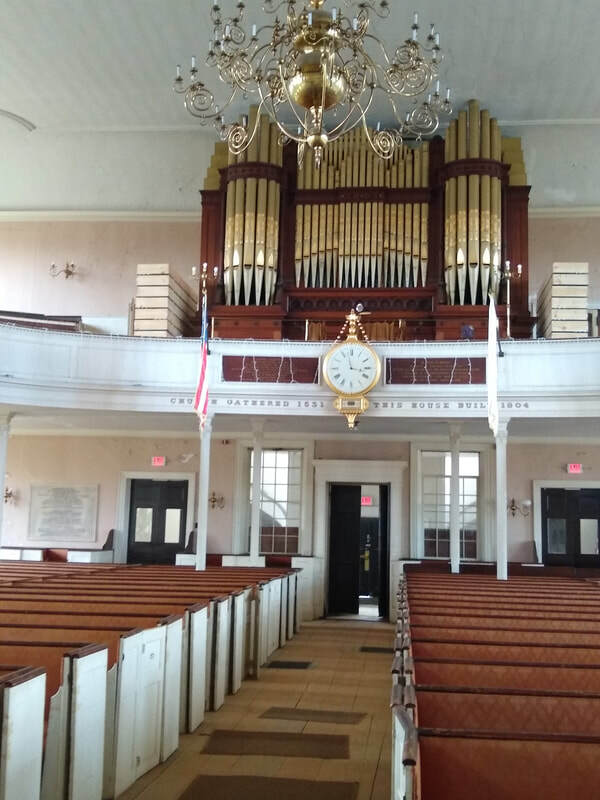 The Revere bell was raised to the steeple May 27, 1819. It weighed 1,538 pounds including a 32-pound tongue. 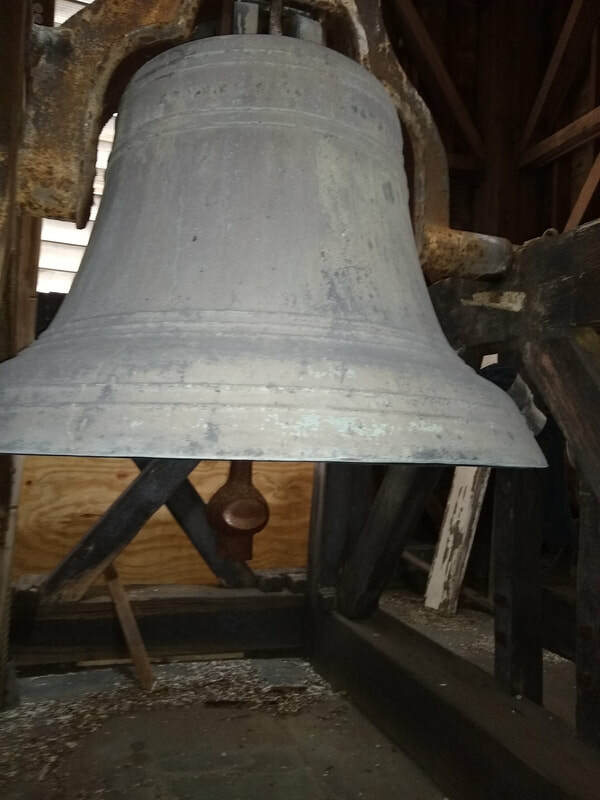 A hammer is present today in the steeple to strike the bell at its resting place and a rope for unscheduled occurrences can be exercised at the lower levels. 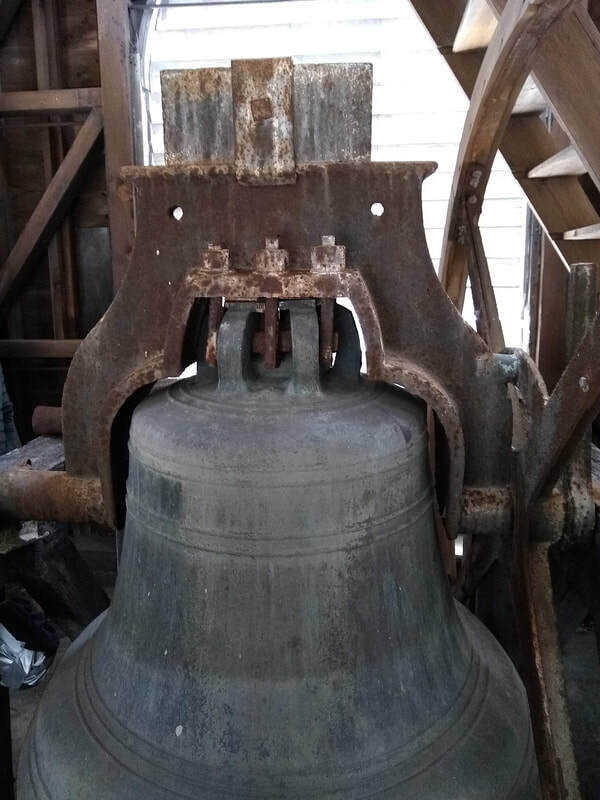 The gross cost of the bell was $692.10, with a deduction of $215.50 for the metal that remained from the previous bell. The final cost was $476.60. The waste book kept by the Revere family noting the weight and date the Roxbury bell was installed. (1) "history of the First Church in Roxbury,Massachusetts, 1630-1904"